Established in the UK in 2000, the Programme for the Endorsement of Forest Certification (PEFC) is the world's largest forest certification organisation. PEFC promotes ‘good practise in the forest' to ensure that ecological, ethical and social standards are met throughout the production of timber products. iWood is externally audited every year to ensure that the PEFC's standards are being met wherever PEFC products are being provided. Like with the FSC©, PEFC© products must be shown to have a chain-of-custody that proves that timber products were sourced from sustainable forests. If you have specific requirements for any type of PEFC timber, call iWood on 01889 279 018. 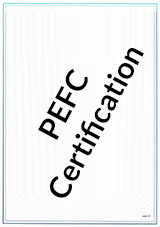 You can learn more about PEFC© at their website here.